After the long hard winter we’re just now starting to see the back of, there were times when I almost believed that it wouldn’t end – that it would be perpetual winter forever. Fortunately Mother Nature takes care of things, and just like it has for every other year since the beginning of time, spring has arrived. 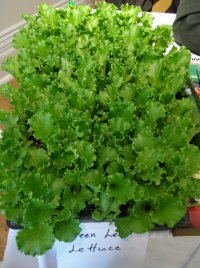 Which turns the heads of farmers and gardeners to one thought – planting. Since many of us city-dwellers don’t have access to a yard in which to grow our own vegetables, we rely on area farmers to keep us well-stocked with nature’s bounty. And as we become more in tune with the philosophy of eating locally and supporting local growers and producers, we city-dwellers need a quick and easy way to do that. While farmer’s markets are always a delight to visit, many people just don’t have the time, or else don’t have any way to haul their swag home. Recently more and more smaller local farms have been setting up Community Shared Agriculture (CSA) programs in which customers can buy a share of the farm’s output for the year. Depending on the farm, customers can either pick up their weekly box of goodies at the farm, or else the farmer will make deliveries to a pre-set drop-off point a couple of times a week. But how are we city-folk who want to join a CSA supposed to find one? Drive around in the country, stopping at every farm we see? This past Saturday, Slow Food Toronto put together an event at the Gladstone Hotel which allowed customers and local CSA farmers to find one another. The “Farm to Home Fair” allowed a number of local farmers to set up shop and hand out information about their farms and CSA programs. Visitors could sign up on the spot or take home information sheets to figure out which farm best suited their needs, schedule and price range. Also present were representatives of the Toronto Farmer’s Market Network, Forbes Wild Foods and Urban Harvest Seeds. Publisher Gail Gordon-Oliver was also present handing out copies of the Spring issue of Edible Toronto. 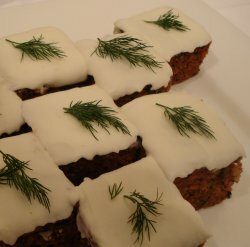 Plus there were tasty snacks by Gladstone Hotel Chef Marc Breton made from local seasonal items such as mushrooms pastries, beet caviar, smoked trout, pulled pork sandwiches and carrot cake with cream cheese frosting made with Monforte Dairy cheese. For readers who missed the fair, here is a list of the participating farms and organizations with contact information. Check out their set-up and drop-off locations and if it’s a viable option, consider buying shares in their farm for the year. 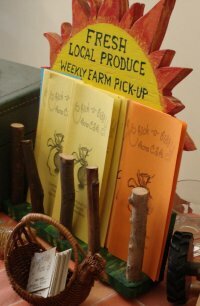 Most CSA farms require a deposit for the year some time in May, so be aware that procrastination could mean missing out. Note that some farms include not only their own produce but act in partnership with other farmers to ensure their customers receive the widest variety of items available. Also, although they’d certainly be happy to have shareholders visit and help out, most local CSAs don’t require their customers to come to the farm and work a certain number of hours in the fields, as was previously the case. Plan B Organic Farms – offers winter and summer shares in a variety of sizes, all of which can be made “local only”. Beet Street CSA – organic vegetable boxes delivered to your door instead of a drop-off location. Chick-A-Biddy Acres – This CSA supplies the produce for the Gladstone Hotel’s Harvest Wednesday events that run throughout the summer. Also offers meats. Triple Cord CSA – a group of small family farmers predominantly living off the grid. They can be contacted via a voice messaging service at 519-765-1031, ext 9. Spring Arbour Farm – Organic farm near Long Point offering predominantly heirloom varieties. 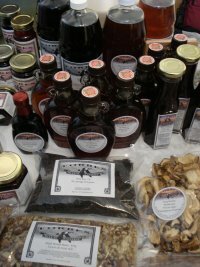 Kawartha Ecological Growers – a collection of 15 eco-friendly farms in the Kawartha Lakes region. No website, but more info can be obtained by emailing Mark Trealout at kawarthaecogrowers@gmail.com. Everdale Farm‘s Harvest Share – offers the largest selection of box sizes, including fruit shares, but shareholders must pick up their boxes at the farm in Hillsburgh. 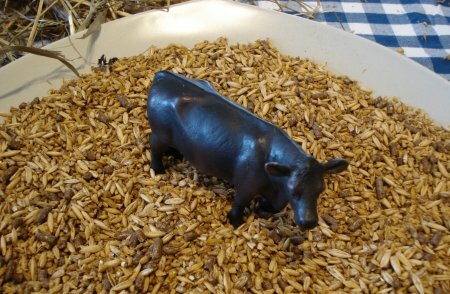 Field Sparrow Farms – Offering grass fed beef in a variety of sizes from a whole or half beef to a freezer box of approximately 40 pounds.